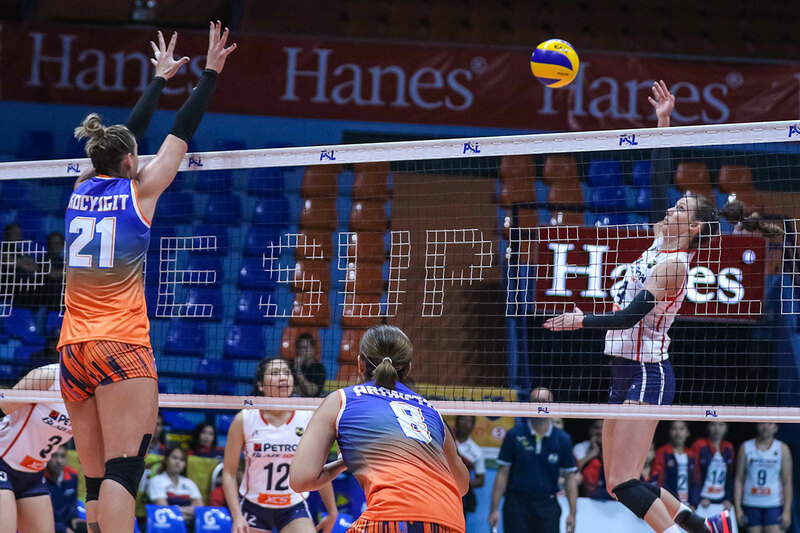 Building on their decisive first win, the Petron Blaze Spikers continued their early roll in the 2019 Philippine Superliga Grand Prix, slamming the Generika-Ayala Lifesavers, 25-16, 25-23, 25-15, at the FilOil Flying V Centre. The Blaze Spikers pounded the Lifesavers in the opening set before getting into trouble in the second frame. After Petron took a 23-19 lead following a Kath Bell swing, Generika rallied back, tying the set at 23 after back-to-back blocks. Bell came out off a timeout and put Petron ahead. Then Generika gave away the set after a double-contact error called on setter April Hingpit. Petron controlled the entirety of the third set, and even had the luxury of playing their bench to cap the match. 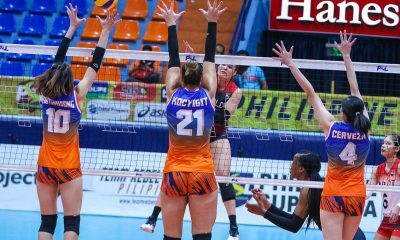 Petron imports Stephanie Niemer and Bell were again unstoppable. Niemer drove in 24 points from 19 attacks, two blocks, and three aces. Meanwhile, Bell added 21 markers off 18 attacks, two aces, and a block. Even with the pair proving too much for two teams so far, Petron head coach Shaq Delos Santos believes the Americans can still have more impact. “Personally, naniniwala ako na may ilalabas pa ‘yung dalawa because experienced players na sila. They know how to handle yung mga crucial games and mga ganoong sitwasyon and then siyempre malaki din ‘yung tiwala ko sa mga local players namin,” said Delos Santos. “Alam din namin kung paano sila magtrabaho, so ako kailangan mas ma-maintain pa ma-improve pa namin kung ano yung kailangan ilaro namin,” the national team mentor added. Patty Orendain topped the Lifesavers with 12 points, while Fiolla Ceballos added seven. Both squads play their next matches on Saturday at the Bacoor Strike Gym. The Blaze Spikers (2-0) will face the Foton Tornadoes (1-0). On the other hand, Generika (0-2) take on the PLDT Home Fibr Power Hitters (0-2).